I hope you all had a lovely holiday and are looking forward to the new year. 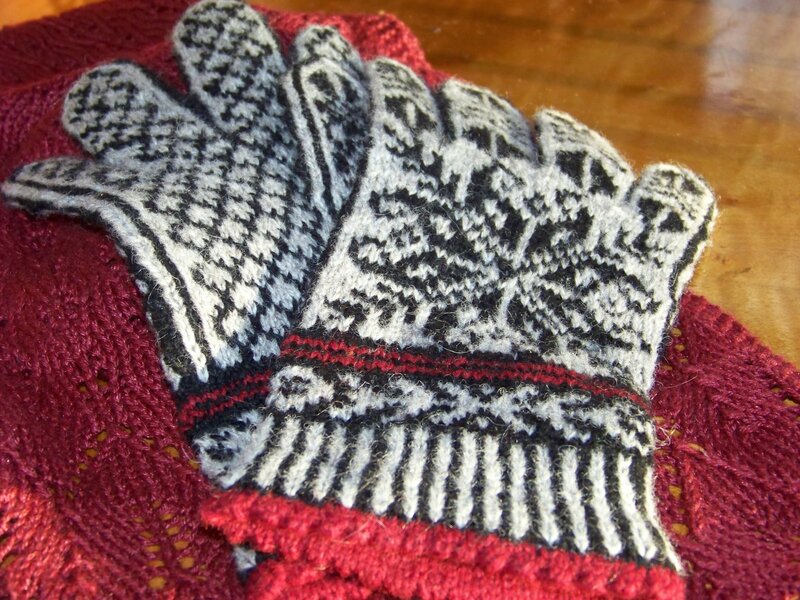 A pair of gloves for DD#1. She asked for gloves but I don’t think was expecting anything this elaborate. She loves them and was showing them off during the holidays.Very bright girl our Cate, she knows the correct way to warm the cockles of a knitting mom’s heart. 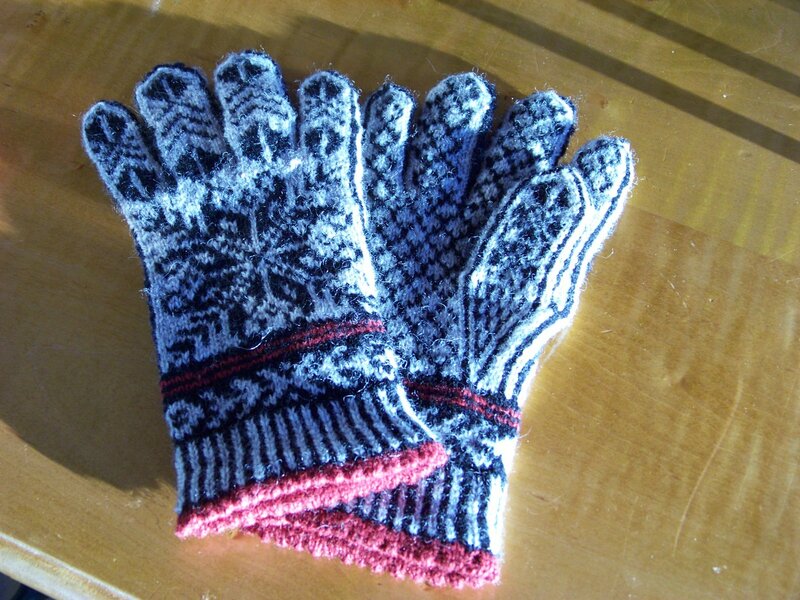 These are knit at the smallest tension I have ever knit a garment, 9 stitches to the inch. 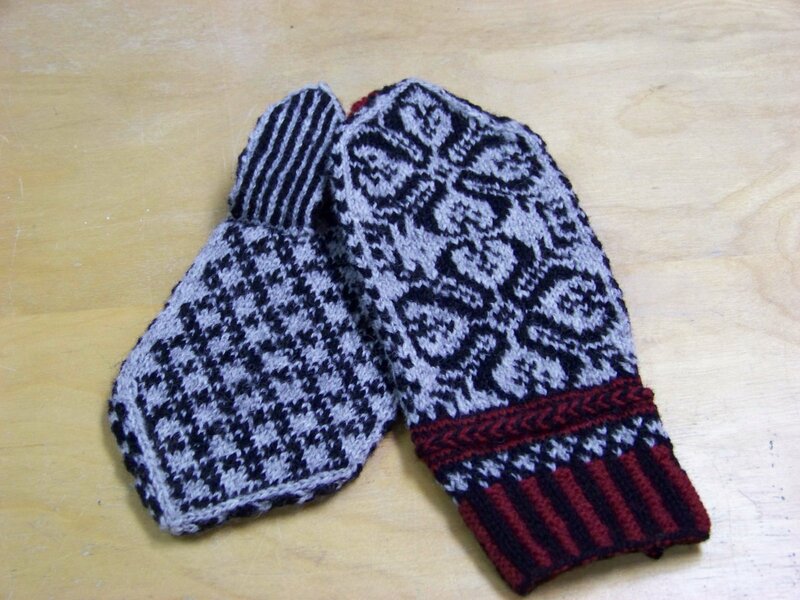 I loved making them, especially playing with the design but my hands were very cramped after working all those fiddily fingers. Mittens for DD#2. I also changed these up a little . The original pattern is in Selbuvotter but of course couldn’t leave well enough alone and added a corrugated, two color cuff and some Latvian braids just for the fun of it. She also loved them so another home run . This is a scarf for DD#2 made with Knitpicks Gloss. Gorgeous fiber which had been percolating in the stash for a while so was thrilled to use it for something other than the another pair of socks. 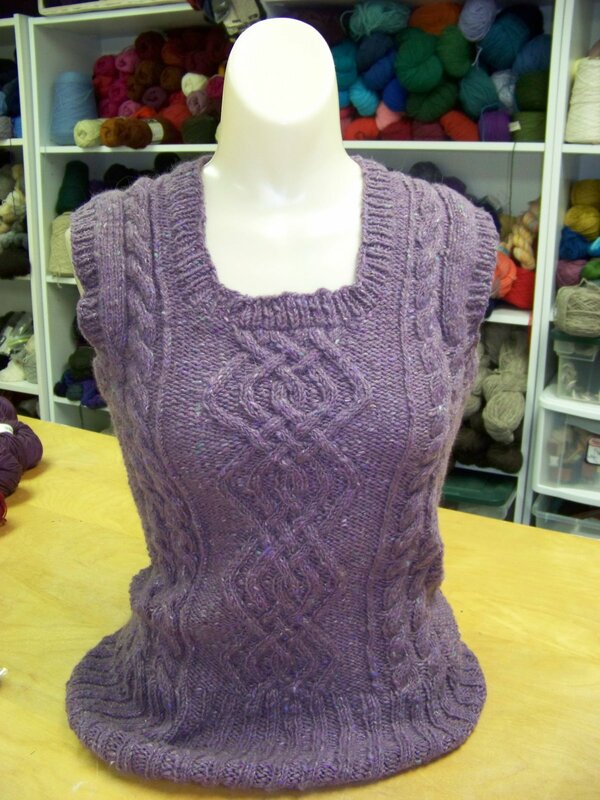 A cabled vest for DD#2. She has been clamoring for cabled garments so thought this would fill the bill quickly. My hubris knows no bounds. 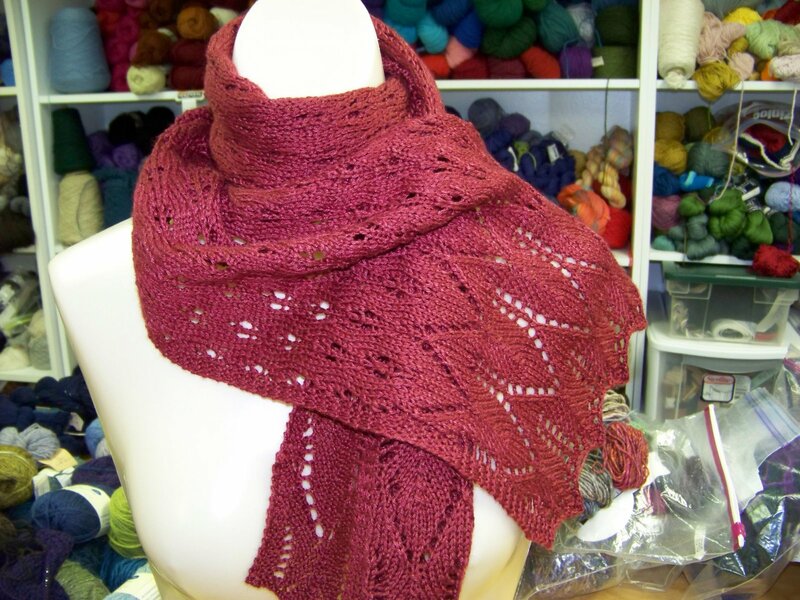 I started this about a week before Christmas thinking that such a big knit would whip along and I would crank this out before she came home. Of course I crashed and burned. I would have had a chance if I hadn’t ripped the blinking thing out 3 times each for the front and back trying to get the neck opening started at just the right place and the cabled situated just so. I am happy with it now and she was very happy with the fit. “Negative Ease” is her new favorite phrase. Unfortunately, she has abandoned us for a semester in Costa Rica and has no need for woolies. She even left before it was dry so I couldn’t get any money shots. Yes the little stinker has moved to the Cloud Forest Mountains of Costa Rica where she will be student teaching in the special ed classroom and helping with science education throughout the school. She is over the moon happy and so we are less anxious. She has called twice and regaled us with stories of the warmth of her host family, the intensity of her immersion Spanish and the beauty of her surroundings, to say nothing of the temperatures in the 80’s. It is 24 degrees, gloomy with freezing rain here in western PA today so I am relieved and jealous. DD#1 has also flown the nest… she is interviewing for architecture jobs in Virginia Beach and looking for apartments. So far 2 concrete offers and another interview on Friday so things are looking up all around. Of course this means she will be moving very soon. This nest is emptying and I am not sure how happy I about this.